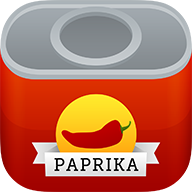 We designed Paprika Cloud Sync to make it easy for you to sync your recipes, grocery lists, and meal plans between multiple devices. To create a Paprika Cloud Sync account, go to Settings -> Paprika Cloud Sync -> Create Account. Once you have an account, make sure you are logged into the same account on all of your devices, and Paprika will sync your data across them.